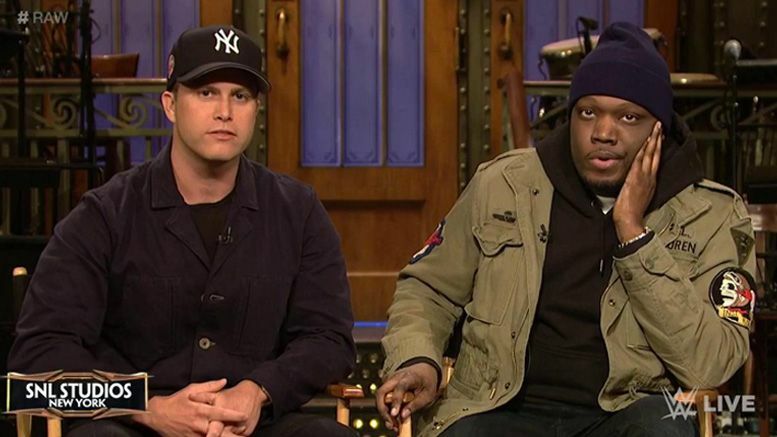 SNL Weekend Update anchors Colin Jost and Michael Che have officially been added as competitors in the Andre the Giant Memorial Battle Royal at WrestleMania. It all went down on Raw tonight when Jost and Che appeared on “A Moment of Bliss” in an attempt to settle their beef with Braun Strowman. That didn’t work, however, and it ended with Braun challenging Colin to squash their beef by entering the annual Andre the Giant Memorial Battle Royal. Che attempted to accept on his behalf, but his co-star suggested he join him in the match. Braun asked WrestleMania host Alexa Bliss to make it official, and she obliged. Watch how it all ended below.